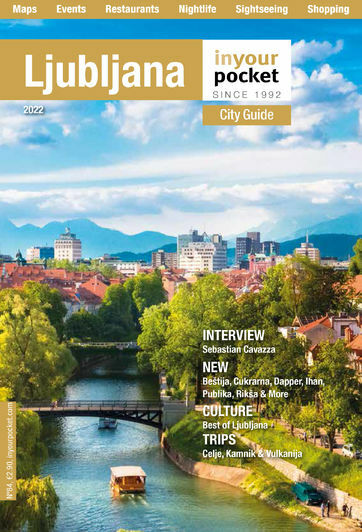 How long have you been a guide at Postojna Cave? This year it has been 35 years since I was employed at Postojna Cave. During my first year at the gymnasium, when I was 16 years old, I started as a seasonal vendor of raincoats at Postojna Cave (I remember greeting the visitors with ten raincoats and calling out at the top of my voice: “... cloaks, raincoats...”). A year later, after I’d completed mentoring, I was already guiding French-speaking groups. My mentor was the late Professor Pavlica, who wrote a phraseological dictionary in five languages. Then, each year, until graduation, I worked for a month or two as a cave guide during the high season. 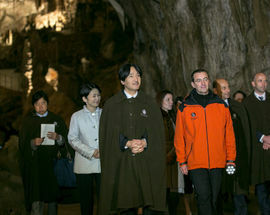 In 1980, I completed military service, enrolled at the faculty, and in 1984, was employed as a cave guide for French - and English-speaking visitors. And why did you decide to become a guide? Already as a child, in 1967 (now it has been 52 years), accompanied by my parents, sister and relatives, I visited Postojna Cave, which, at that time, made a strong impression on me. Excited about the cave and the adventure book “Journey to the Center of the Earth”, which I was reading back then, I told my father I would someday descend into the centre of the earth (in the same year as Verne’s novel – 1863 – the first guide to the Postojna Cave was published in Slovene, by Etbin Henrik Costa). I was later a successful caver, taking part in some of the expeditions to the deepest caves. I managed to mix business and pleasure (a hobby and my job), and after so many years I can say that I still enjoy my work. What makes Postojna Cave so special? The Predjama fault in the south and Idrija in the north. These limestones are between 80 and 90 million years old, but of course, the cave is significantly younger. For now, the cave system is 24,500 meters long and has several natural entrances, including: Postojna Cave, Otok Cave, Magdalena Cave, Black and Pivka Caves. Caving and diving expeditions are currently underway, with the aim of connecting Pivka Cave with Planina Cave. 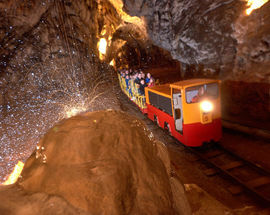 Some of the most notable things about the cave are a wide variety of absolutely stunning cave formations, the earliest visitors who first came to the cave as early as the 13th century – according to some studies, even before, the world’s first cave railway inside an underground cave (from 1872 onwards), electric lighting since 1883. The cave is also considered the cradle of speleobiology (the discovery of the slenderneck beetle etc. ...), but its main star is without doubt the olm (Proteus Anguinus). 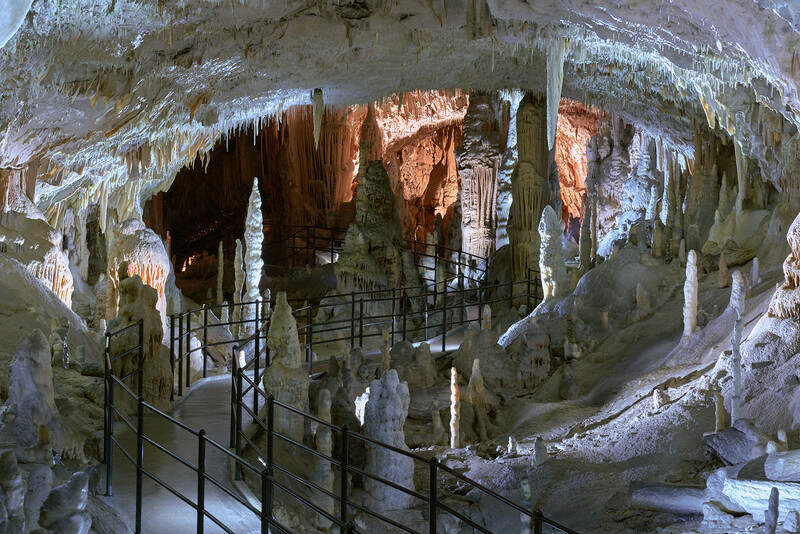 Postojna Cave can be considered the most enticing karst phenomenon in Slovenia and Europe. During my long career, I guided a number of artists, scientists, top athletes, a papal nuncio, the Japanese prince and princess, many statesmen etc. What are some of the most common questions asked by visitors? What’s your favourite part of the tour/cave? cave that is not open to tours, however, my favourite part is undoubtedly the Noname Passage. What I like most is to get visitors’ feedback especially to see that I managed to attract their attention - they follow me with interest and ask questions. After the cave tour, we go our separate ways. “No one paves us the way, we walk aimlessly... and sometimes something good happens to us.” (Rudi Bučar). Can you tell us a bit about the Living Nativity? As far as the Living Nativities are concerned, I had the honour of being present at all of them, from the first performance in 1989 to the last one in December 2019. They are considered to be the biggest living nativity scene staged in the underground world and one of the most beautiful Christmas experiences in the world. The event is also a great organizational challenge, as during the six days the Living Nativity is staged it attracts an enormous number of visitors, with the tour lasting an hour and a half and starting every 15 minutes. Where’s the best place to grab lunch before or after visiting? We have a wide variety of food and drink options adapted to the different guests. Restaurant Briljant is an ideal choice for groups who want to grab a quick bite to eat and those who have not booked the meals in advance. Magdalena Food & Fun offers a wide range of gourmet burgers, pizzas, craft beers, artisanal ice teas and excellent coffee. In the restaurant at Modrijan’s Homestead guests can enjoy local cuisine, grilled dishes, delicious prosciutto and cheese. The Jamski Dvorec’s cuisine boasts a distinguished tradition paired with contemporary gastronomic trends, and Hotel Jama’s restaurant, the Magical Garden, offers a wide variety of specialties of local and international specialities. What would our readers be most surprised to learnabout the cave? 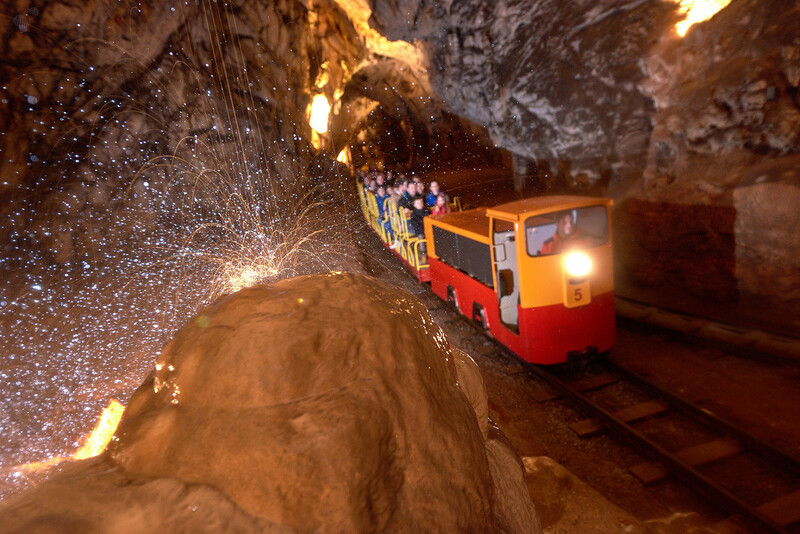 Among the cave’s many attractions, it is certainly worthwhile to mention the following: Thomas Cook’s statement (in 1868, when he visited Postojna Cave): “It is worthwhile to travel from Venice to Postojna to see this world miracle.” The first cave railway, along which the guides pushed a cart, called Faeton, was installed in Postojna Cave in 1872. Exactly 80 years after the discovery of Postojna Cave’s most beautiful parts (1899), the world’s first underground post office was opened in the cave. Olms can spend up to 12 years without food, and they live up to 100 years. In 2016, for the first time ever, we got to see an olm lay eggs, followed by the hatching of 21 ‘baby dragons’, which became ‘the stars’ that attracted worldwide media coverage. Any tips or suggestions for new visitors? 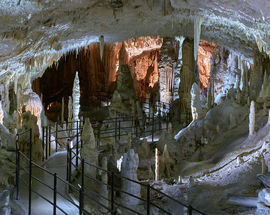 Postojna Cave is open year-round. The cave tours last an hour and a half. Each tour is accompanied by guides, and audioguides in 17 languages are also available. 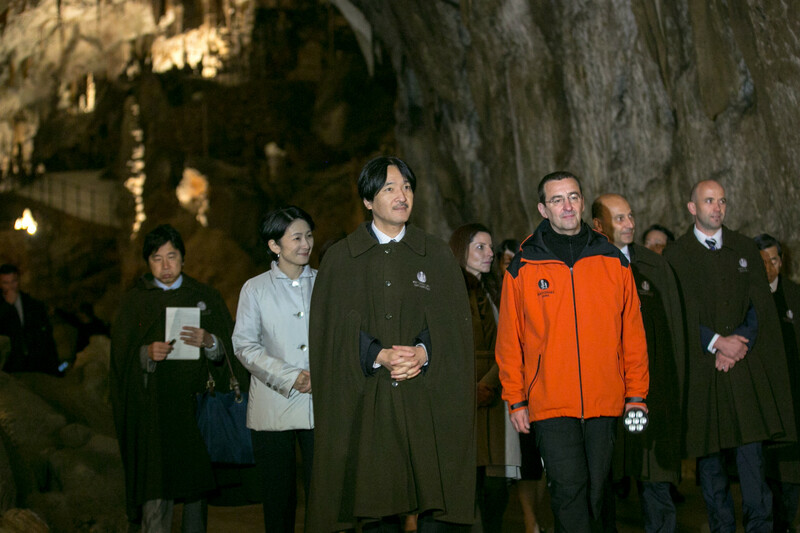 The temperature in the cave is constant, around 10°C, so warm clothing and comfortable footwear are recommended. On the train, selfies are forbidden for safety reasons.